A book for all teens -- no matter what gender you are -- about feminism: what it is, what it means, and how to do it...from A to Z. Written by the author of the Stonewall Award-winning book, This Day in June, Feminism From A to Z is an alphabetical primer on feminism for teen girls. Each chapter examines a topic that offers call-to-action exercises incorporated into each lesson. 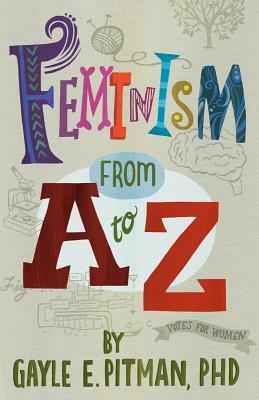 Includes an introduction to readers on how to use the book and an alphabetical list of ways to take feminist action. If you've ever felt "fat." If you've ever been pressured to do something you didn't want to do, or that went against your values. If you've ever been afraid to speak up. If you've ever been bullied--or been a bully. If your confidence has ever felt shaky. If you've ever felt unwelcome because of who you are. Feminism can help you navigate all of these scenarios--and then some. That's why I wrote this book. Because I believe that feminism will change your life.